Greek intelligence agents apparently had a hand in the Bohemia Interactive "spies" case. Ivan Buchta and Martin Pezlar, the two Bohemia Interactive developers the Greek government has accused of espionage, have perhaps only two weeks to go before their appeal is heard. So far, there has been no trial, though the developers have been imprisoned for 122 days and counting. The two were arrested in September 2012. The Greek government accused them of deliberately entering an area they knew was off-limits, and taking video footage of military installations. 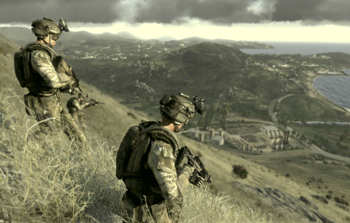 The developers had been part of the Arma 3 team, working on a military simulator set on a fictional version of the Greek island Lemnos. Shortly after their arrest, Bohemia Interactive described the incident as an "unfortunate and deep misunderstanding." In an interesting twist, Greek newspaper Kathimerini alleges that the two were monitored from their arrival by the Greek Ethniki Ypiresia Pliroforion (EYP), the national intelligence service. The EYP told local law where Buchta and Pezlar were staying, and when they planned to leave. From the moment they arrived, claims Kathimerini, Buchta and Pezlar were under EYP surveillance. If true, this suggests that the Greeks knew full well who they were dealing with, when the game developers were busted.